The Safrane is back. Kind of. 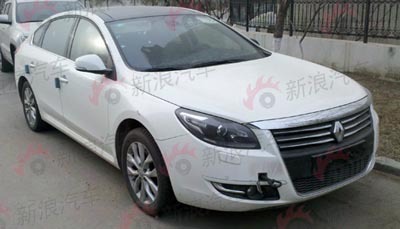 Renault has decided to offer its version of the new Samsung SM7 as a Renault for the Chinese Market. A smart move. Upscale sedans are very popular in China right now, and this gives Renault a decent offering. 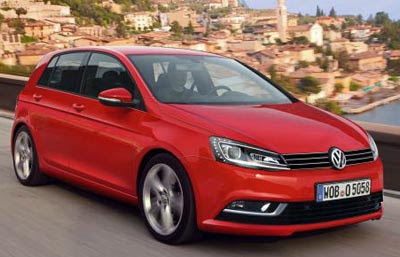 It is not sure yet if it will eventually make it in Europe, where it would replace the old Vel Satis. Renault has not been lucky with large luxurious cars in Europe. This is what the Samsung version looks like. Pretty much the same as the Chinese Renault. I actually think this could make a nice Maxima here. But I have heard rumors that the next US Maxima might be more of one of these "4 door coupe". Inorder to differenciate it better from the Altima. 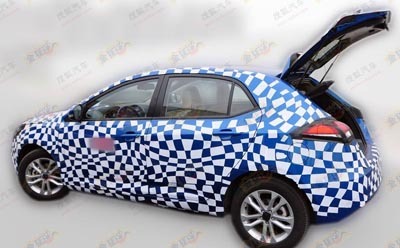 We have seen spy pics of this car for a while now, so it should be ready to come out pretty soon. 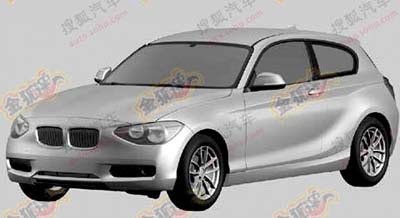 Recent MGs might not have much to do with the models from the "old days" but they are some of the best looking cars out of China. The MG6 is also being built in England and the small MG3 should follow soon. 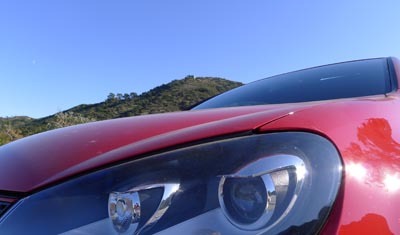 This new MG5 should do battle with the Golf and Focus crowd in Europe. If they ever decide to advertise the brand that is. So far, MG has managed to sell very few units of the British built MG6 sedan and hatchback. They claim the lack of a diesel version (coming soon) for the low numbers. But most people, even over there, don't even know MG is still making cars. It was sold in the US for 10 years starting in 1985. 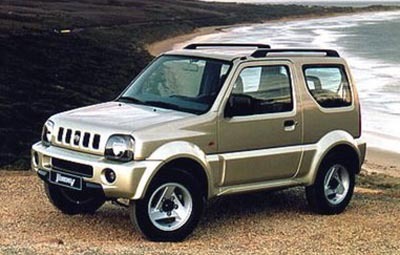 It was usually called the Jimny in other markets, and still is today. Except it had been redesigned since. Suzuki is now getting ready to show a concept version of the next generation. Which already looks quite weird. Especially the headlights. Will it ever come back to the US? Would you like to see an all new Suzuki Samurai over here? I have see a few before in "the wild". But it's always a treat. I just thought I'd share this one. 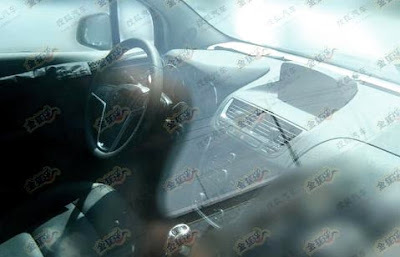 Just a small glimpse of the interior of Buick's upcoming compact SUV. 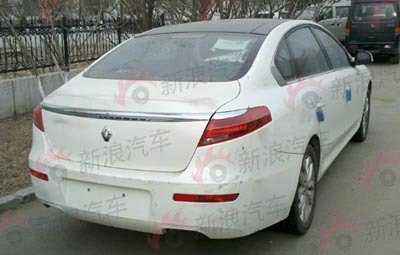 The photo was taken while testing in China, which is now Buick's largest market. We'll see the whole thing with official pictures in just a few days. But so far, it looks rather boring to me. Nothing special. It was just a matter of time, really. We saw the redesigned 5 door version a while ago, and the 3 door is no surprise. Just the same car minus 2 doors. It might be more of interest to us as it will be the basis for the next 1 series (Unless they call it the 2 series) coupe in the US. 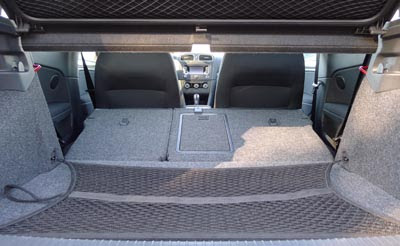 So just imagine a trunk instead of the hatchback and there you have it. And, just like most new BMWs sold in the US, a 4 cylinder will replace the 6. 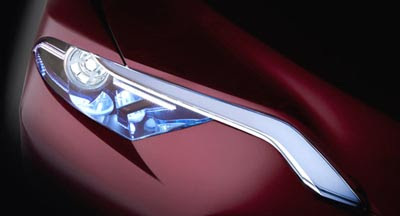 GM just released another teaser of Buick's upcoming small crossover. Looks a bit small to compete with the CRV. Maybe this could go against the Mazda5 or even the Nissan Juke and Mitsubishi Outlander Sport. We will know everything in just a few days. 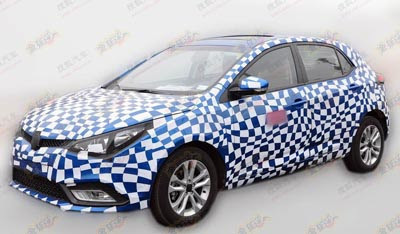 And it looks pretty much exactly like the photo of the Opel version I posted on this site a few days ago. These are pictures of the Japanese market version. 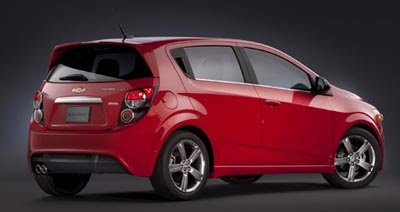 We'll have to wait a few days to see what the US version, called "Prius C", will offer. But it'll be pretty much the same. If its price undercuts the Honda Insight, they have a winner. 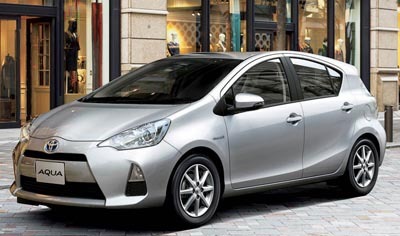 They've already claimed the MPG will be better than the larger "regular" Prius. Which would be much better than what the Insight is getting. PS: I know hear that the Prius Aqua is priced right above the Honda Fit Hybrid in Japan, but well bellow the Insight. 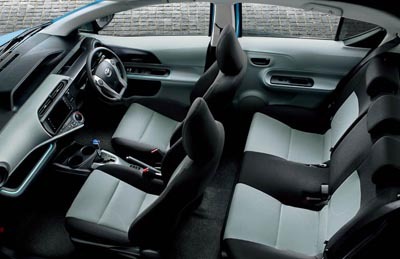 Translated in US dollars, the Hybrid Fit starts at about $16 500. Which could mean a bit above $17 000 for the Prius Aqua. With a superior gas mileage that could be above 55MPG. 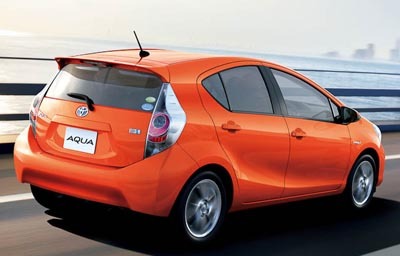 If Toyota can price the Prius C well under $20 000 in the US, and get a 55MPG rating, this will be a hit over here. Not sure exactly what they will call it, but it looks like this 5 door hatch could be based on the 500. It's not the new Panda, so not sure either what it would replace in the current line up. This could be a welcome addition to the 500 in the US. Fiat dealers do need something else to sale. Even though the 500 seems to be very popular in L.A, it looks like it's not in most of the country. Which is really kind of normal. It's really not a car for everyone. We might even se more before the car comes out. Which could be as early as next March. No matter what, it will be pretty close to this. VW never came out with a crazy redesign for the Golf. A best seller for so many years. It will be what Toyota does here with the Camry. Only car fans and previous owners will be able to tell the new one from the current one. Which, I guess, works for them . Year after year. 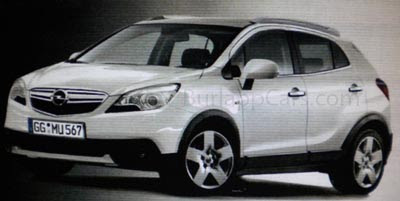 There were a few pictures of an undisguised prototype a few months ago, and I thought it looked great. 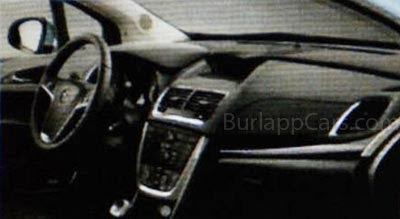 Now from Auto Express, we get to see the interior. And it looks great as well. 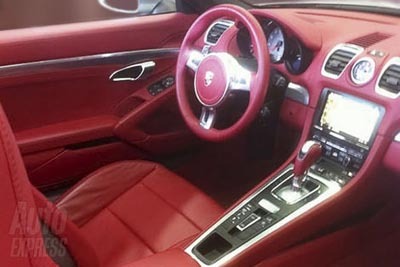 Much nicer than the current model, but as usual, still a Porsche. We will see the whole thing next March. This is what the current interior looks like. Which is just fine. This will be the Renault's first electric car. 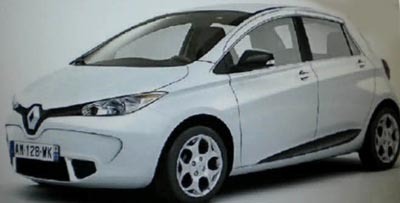 One would think it could be based on the Nissan Leaf. But the European press claims the car will start at a much cheaper 15 000 Euros. Which would be quite amazing for an electric car. But it might also not include battery rental. On sale in the summer 2012. And not coming here. Unless Nissan decides to offer a version of it here under its name. Something a bit smaller, and cheaper than the Leaf. 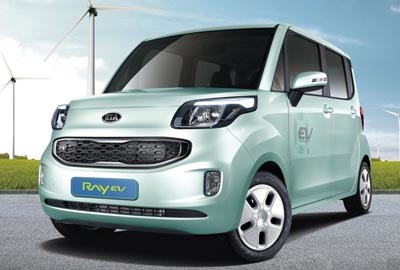 This is the all electric version of the recently introduced little Kia Ray. A cute little mini box not available here. 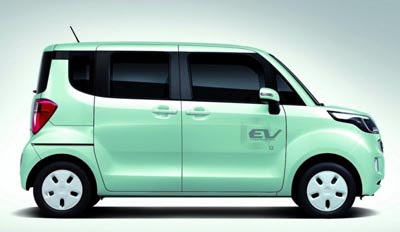 The EV version comes with a 86 miles range. Not a lot, but on par with most current electric cars. But it takes "only " 6 hrs to fully charge. Or 25mn on what they call "fast" mode. Not sure if this requires some kind of special charger. Only 2500 of them will be produced in 2012. The IS should be the most aggressive looking Lexus sedan, and this just looks like a mix between the current model and the new GS. Then again, they might surprise us with yet another boring design. Let's hope their new concept we saw a few days ago indicates a new design direction. Something bolder. 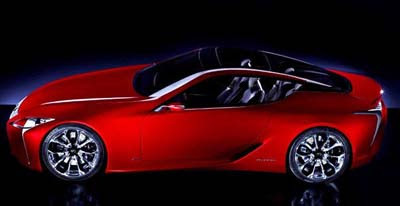 This is one attractive Lexus. Not sure yet if this will ever make it or not in production as the next SC or not. 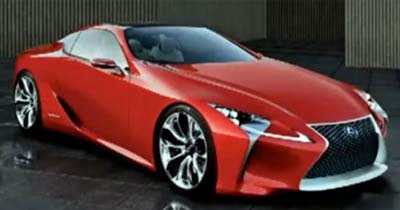 But it would be great, and exactly what Lexus needs. This is obviously an illustration based on the Takeri Concept. Which could be really close to the real thing. It does look nice, but a bit too close to the current, and low selling, model. I think Mazda needs something that stands out a bit more. The current one is a great car. And it looks better than most of ots competition. But somehow it doesn't sell well. Doing the same thing again doesn't seem like such a god idea. The competition is tougher than ever with the Sonata and Optima. But also the new Malibu and Camry. And by next year, there will be redesigned versions of the Accord, Altima and Fusion. Not much s known yet. But it could be a new Plug in Hybrid concept. This looks like another one of these concepts that is basically the upcoming production version with larger wheels. It already looks pretty nice. But I am not sure it has that "Pathfinder Look". Nissan has been pretty good so far at making sure each new versions still looked like a Pathfinder. 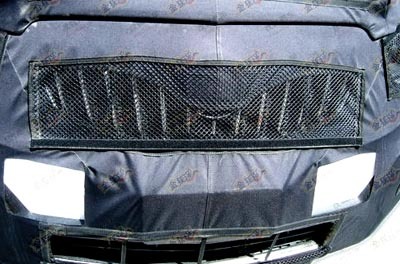 But this one is even missing the concealed rear door handles. 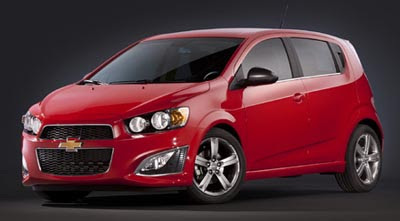 This isn't really a sporty version of the new Sonic. Inside the new seats don't really look sporty. The RS seems more like the kind of Sport package they were offering in the 70's and 80's. Bigger wheels instead of more power. Not sure this is really worth it. You can already get the 6 speed/1.4 Liter Turbo combo in the regular model. It seems they should have really gone all the way and add more power as well. 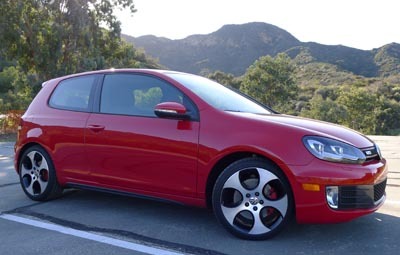 The GTI is basically a sporty version of the Golf. Always has been . A few years ago they just decided to drop the Golf name. So it just looks like a Golf with larger wheels and a more aggressive front end. Which is just fine. The shape isn't really sporty, but it is modern. And, in the US, it does stand out quite a bit from the sea of Camrys and Accords. Not so much in Europe where the Golf has been a best seller for years. 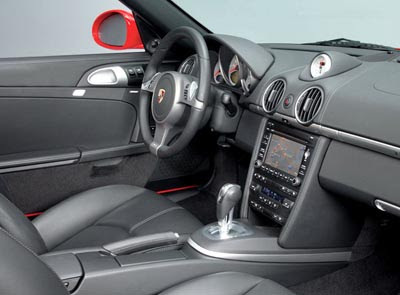 The interior is much better than the previous generation. Which I never really liked. The dashboard is still on the very conservative side, but it does look and feel very upscale. 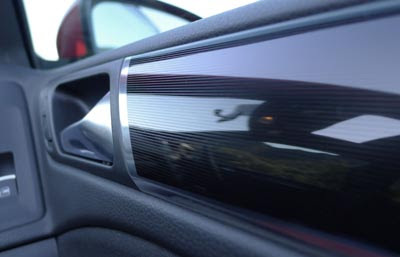 Doors are now similar to the European Golf Plus. Also better looking than the previous Golf. 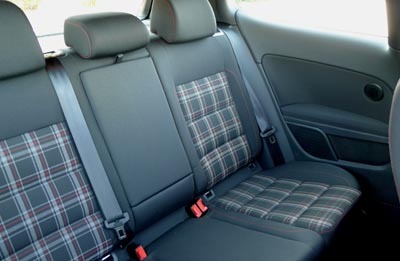 The seats have a standard plaid design, which dates back to the first generation Golf GTI. So it is now pretty much a tradition. Leather is available in some versions. Fit and finish is pretty much perfect everywhere. 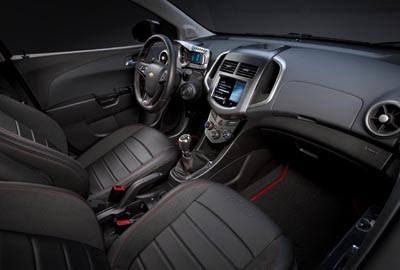 It is quite a few steps above your average compact car. But to be honest, so is the price. 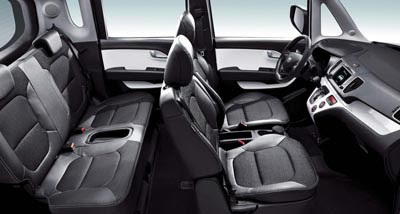 The truck is roomy, and of course the seats fold back. An even roomier 5 door version is also available. The stereo sounded great, and the navigation was pretty easy to use. But I noticed that some small features were missing. At least for the price . No auto headlights, no back up camera or sensors, no power seats, no keyless ignition. Not huge things, but features that are now available in many cheaper cars. There is also no storage in the center armrest. 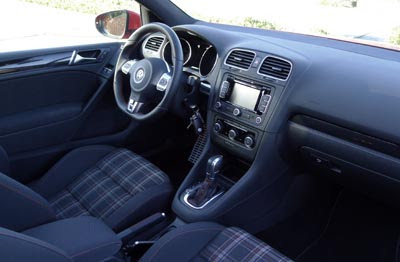 The ride is typical German sporty. Which means firm to very firm, but never uncomfortable. And the car always feels as solid as a tank, no matter what the road is like. It has just the right amount of weight and feel. Always. And, torque steer in non existent. Ever. Unlike the MazdaSpeed 3 I drove last year, which was such a handful during acceleration. 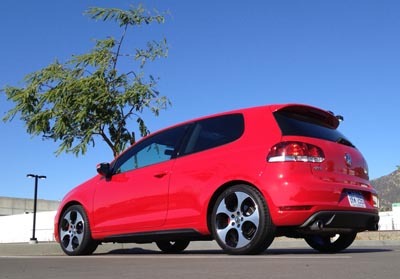 The GTI just feels perfect in that respect. And you can really push the car as much as you want. Almost like VW's own TDI. But things do settle down quickly and it becomes mostly quiet, with a sporty sound. Again, pretty much like the TDI. Sure, in writing 200hp from a 2.0 Liter Turbo isn't that much these days. Even Buick does much better. But it feels plenty fast all the time, regardless of numbers. Not bad at all for such a sporty car. My car was equipped with the DSG Automatic transmission. Which turned out to be my least favorite aspect of the car. At least in regular Automatic mode. Where it is actually pretty slow to take off. And then is constantly looking to up shift. Not a sporty feeling. At all. Things do change drastically in the sport mode. The car becomes very aggressive and much more fun. Although quite brutal at times. And it won't shift into 6th on the freeway. My favorite was to us the "manual" mode and change gears myself. Not nearly as much fun as a true manual, but I thought it was better than Normal or Sport. One thing I did notice was a strange kind of deep clunky sound when gears changed, coming from behind me. Very faint, but I could hear it at times. And coming to a stop was often hard to do smoothly. Due to transmission gearing, not the brakes. I love my week with the GTI, and would definitely recommend it to anyone who enjoy driving something fun. But I am not a fan of the DSG. I would actually prefer a regular automatic. Or better yet, the standard 6 speed manual. The DSG just feels, too.. "computerized" . It's hard to explain. My car was priced at $ 28 300. Which included GPS, sunroof and Xenon headlights. Not cheap for a compact car. But it does have plenty of that "German feel". And European cars are just not as cheap as others. Plus, as I mentioned, this was the most fun I had driving in a while. We'll see more of the new small Volvo when it is officially revealed at the upcoming Geneva auto show. For now we have this teaser and the new name: V40. 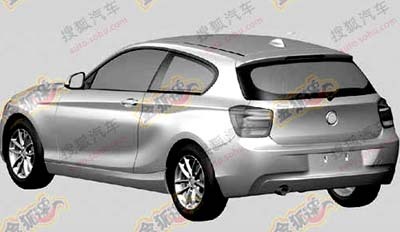 It will replace the S40 sedan and V50 wagon as well as the C30 in the line up. As you can see, it is more of a 5 door hatchback, like the Audi A3. Mercedes SL: 10 years in the making. The top one is the all new 2013 model. 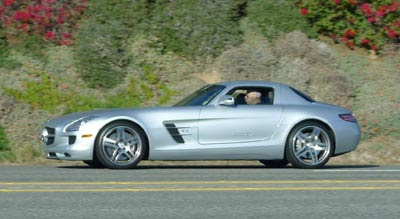 While the car at the bottom is the 2003 model. I have never seen such little progress in a design, in 10 years. 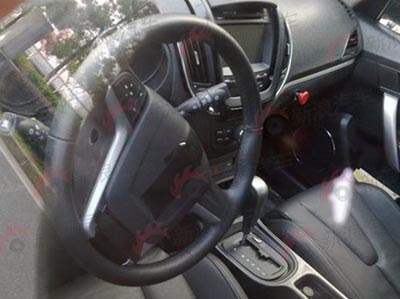 These are obviously pictures of the European Opel Version. 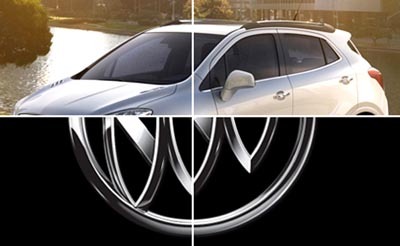 But besides a new grille, it does match the teaser photo of the new small Buick. So it is not a Meriva. But both are still based on the same platform. Which means we can expect the 1.4 Turbo to be the only engine available in the US, at least for a while. And it is NOT a version of the old Saturn Vue. That idea was canceled by GM a long time ago. 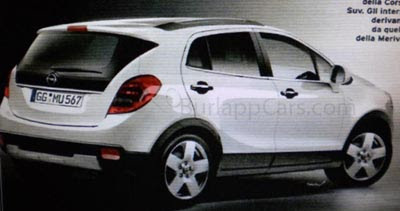 2013 Buick Encore = US Opel Meriva?